Tipping Point is pleased to announce that Music Masters is back for 2018. 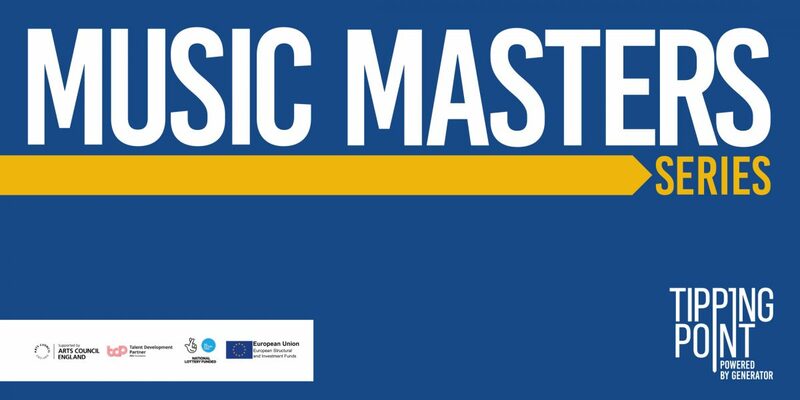 Starting in September, Music Masters is a series of events with expert speakers sharing the most current thinking and insights in the industry today. They will take place one evening a month in the cinema room of the newly built The Star & Shadow Cinema on Warwick Street, Newcastle. Sign up for the first event here. Want to get your music out there but no one will do it for you? Start your own label! (or at least learn how it all works). In the first session of our latest round of music masters evening events, we’re pleased to bring you Start Your Own Label, a comprehensive guide to the workings of the record label and how you can do it yourself. Start releasing music under your own brand in no time after our essential tips event. Got all the tunes but none of the know-how? Social Media is just about memes right? Wrong. In the second session of our latest round of music masters evening events, we’re pleased to bring you Cash In On The Likes, giving you, the artist, an all-you-need-to-know guide to branding and crucial techniques needed to turn those likes and retweets into sales and fans on seats. Wonder how new bands get played on national radio stations? Wonder why NME magazine won’t review your track or get back to your email? What does PR mean anyway? In the third instalment of our music masters evening events, we’re pleased to bring you The World Of Music Press, a comprehensive discussion on all things radio, magazines and blogs and how best to get the attention your music deserves. Sick of playing the same venues and bar every month? Crave long journeys in the van and playing to new crowds? DIY Tour it! In our fourth session of our latest round of music masters event events, we’re pleased to bring you DIY TOURING, talking all things touring and getting those first few out-of-town shows. Whether it’s gig-swaps or festival slots, our experienced panellists will tell you just how to get yourself going. Check our our events page and sign up while you can!